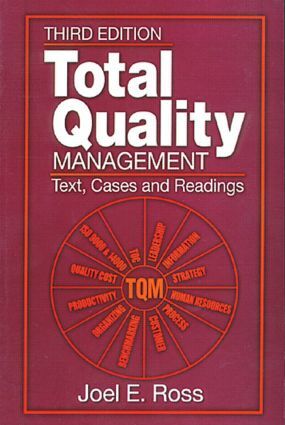 Acclaimed and used in over 200 colleges and universities around the country, Total Quality Management: Text, Cases and Readings has been completely revised and expanded to meet the growing demands and awareness for quality products and services in the competing domestic and global marketplaces. The Varifilm case is retained as a comprehensive study that illustrates good and not so good practices. Each chapter contains an exercise which provides the reader with an opportunity to apply TQM principles to the practices illustrated in each case. Based on sound principles, this practical book is an excellent text for organizational development programs aimed at practitioners responsible for developing and implementing TQM programs in their own service or manufacturing organizations.